The Financial Action Task Force on Money Laundering (FATF) is an intergovernmental organization founded in 1989 on the initiative of G7 to develop policies to combat money laundering. Following 9/11 terrorist attacks, its mandate was expanded to include terrorism financing. The task force monitors financial transactions of countries worldwide by reviewing if they have taken the required steps against curtailing the flow of funds to blacklisted organizations like mafias, terrorist outfits and banned groups who face economic sanctions from the UN member countries. The grey list of FATF includes countries that are not doing enough to fight money laundering and terrorist financing. Pakistan has earlier been placed on the FATF grey list from 2012 to 2015, however due to some concrete steps its name was removed in 2015. In 2018, Pakistan managed to remain off the list of terror financing economies. Initially, China, Saudi Arabia and Turkey supported Pakistan and opposed the bill that aimed at putting Pakistan in the grey list. However, the US and UK pressing on its anti-Pakistan agenda managed an unprecedented re-voting on the bill by lobbying countries against Pakistan. On the second voting, China and Saudi Arabia also decided to stay silent. Turkey, however, did stand by Pakistan’s side and opposed the bill till end. Turkey’s support did not prove enough for Pakistan. 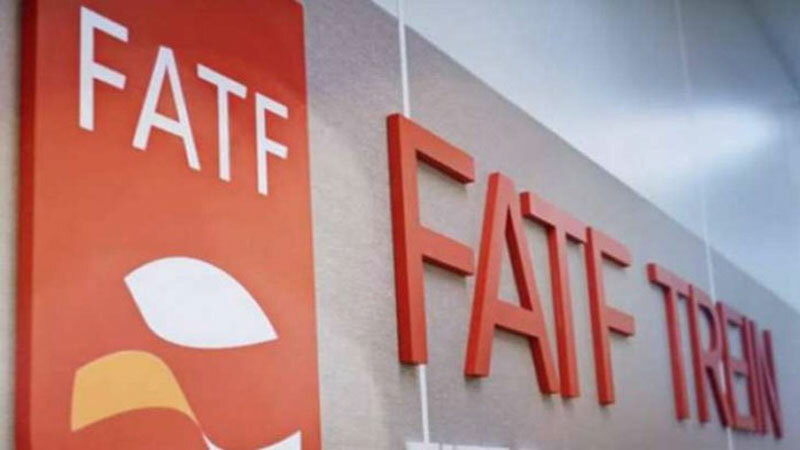 In the last session of FATF, Pakistan was placed on the grey list notwithstanding Pakistan’s recent measures to avoid being put on the grey list. Pakistan’s inclusion in the list seems part of an orchestrated campaign of certain international quarters. The FATF generally evaluates a country’s financial system to determine if it is to be included in the blacklist or otherwise. However, this time no such evaluation was done and the FATF just acted on US proposal with the backing of France, Germany and Britain. In such a situation, the move seems politically motivated on the behest of the US which comes despite the country making conspicuous efforts to fight money laundering and terrorist financing. Due to inclusion in the list, Pakistan will be portrayed as a country sponsoring terrorism. Moreover, impression will be given to the world that Pakistan’s financial system is weak and cannot withstand money laundering and terror financing. Resultantly, Pakistan will be in a difficult position to get loans from the IMF or international donors. There is also an impression that Pakistan was included in the list because of UN banned organizations Lashkar-e-Jhangvi (LeJ), Jamaat-ud-Dawa (JuD), Falah-i-Insaniyat Foundation (FIF) and the Haqqani Network. Pakistan continues to get mixed signals from different quarters of the US government. Some generously acknowledge Pakistan’s role in the anti-terror war while others are hell bent on targeting Pakistan. The US needs to shun these double standards if it wants to achieve its goal of global peace and stability. Placing Pakistan in grey list in total disregard of its contributions in over a decade old war on terror would pay no dividends. Global peace and stability will remain an elusive dream until developed countries continue encouraging the corrupt and terrorist elements in the third world countries for money laundering and terror financing by exploiting there flawed financial regulations. Also US, UK and other western countries should be charged with supporting and hosting elements from Pakistan who have known links with terrorist organizations like Altaf Hussain, Brahamdagh Bugti, Hyrbyair Marri, Naela Qadri Baloch, etc. About six militant organizations sponsored, funded and armed by foreign countries are operating and involved in terrorist activities in Balochistan. India is supporting terrorism and carrying out ‘economic sabotage’ in Pakistan through its strong links with the NDS and the terrorists in Afghanistan who are used for spreading terrorism in Pakistan. Indian consulates in Kandahar and Jalalabad are reportedly providing arms, training and financial aid to the Balochistan Liberation Army (BLA) in an attempt to destabilize Pakistan. The above mentioned facts not only testify Indo-US tirade against Pakistan but also question credibility of US role as a peacekeeper in the commity of nations. Pentagon and CIA have excellent analysts who are extremely good at foreseeing the rise of terrorist organizations across the world. How the US and other big powers could not foresee and check the rise of ISIS? The FATF has also failed to check terrorism in its capacity as a terror-financing watchdog since 2001. In fact, the biggest tax havens in Panama, British Virgin Islands and other offshore banking systems actually help money laundering.